23rd match of IPL 2018 being played between MI and SRH in Wankhere Stadium Mumbai at 8pm on 24 April 2018. 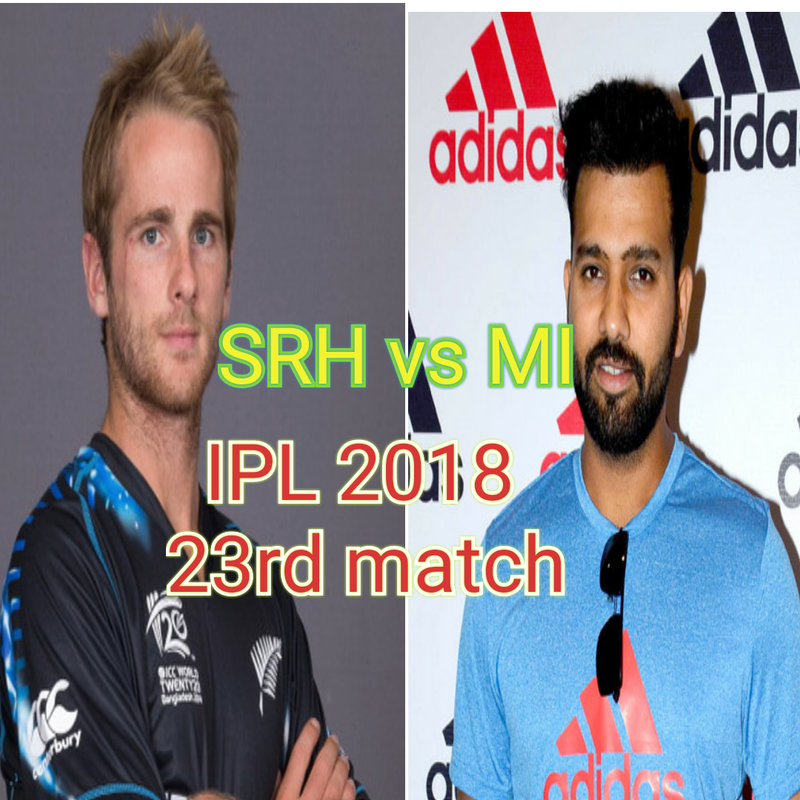 Rohit Sharma captain of MI won the toss and opt to bowl first. Ken Williamson (29), Manish Pandey(16), M Nabi(14) added sum useful runs but not good. Other player didn't play well except Yusuf Pathan who scored 29 of 33 delivery with the help of 2 boundary and 1 six. SRH all out at 118/10 in 18.4 overs. MI given so so bad performance in this match. This team all out at 87 in 18.5 overs.